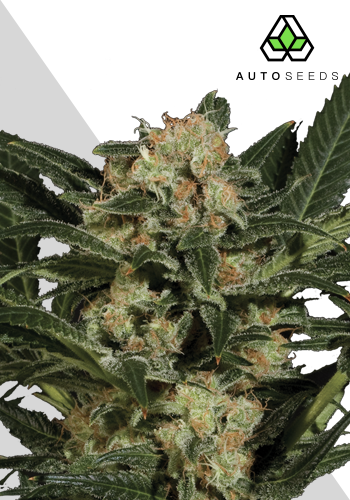 As the name suggests the smoke is sweet and heady, almost narcotic..
Candy Kush Auto Feminized Marijuana Seeds by Auto Seeds: Candy Kush is a collaboration of some of California’s finest kush genetics and our very own Auto Pounder. After much experimenting, we hand selected a seriously sweet kush variety. The resulting cross is a deliciously sweet, big yielding, autoflowering kush strain. Super easy to grow and ready in as little as 65 days from seed, Candy Kush will stay relatively low indoors reaching a dense and bushy 60cm when grown in soil. It branches out well giving abundant bud sites yet will still produce a large central cola coated in frosty resin. The fantastic kush genetics have resulted in a highly mould and pest resistant strain. Grown under optimal conditions Candy Kush can yield a massive 400g/m2 making it second only to our monster Auto Pounder. As expected, THC and CBD levels are high giving an intense all over stone with possible medical applications such as pain relief and insomnia. As the name suggests the smoke is sweet and heady, almost narcotic. Overtones of spice and burnt caramel are pleasant making the taste one of the best characteristics of this knock out strain.